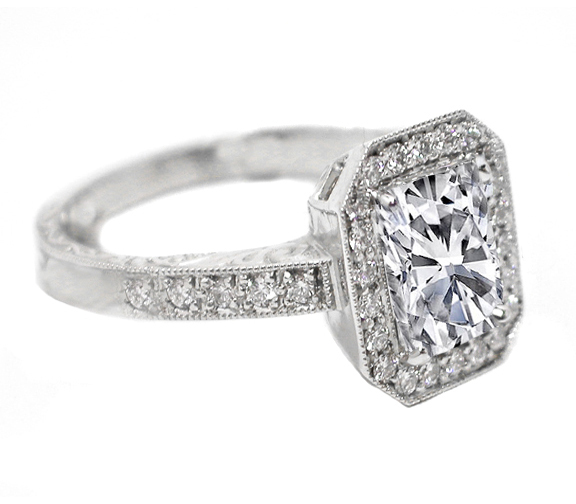 Cushion Diamond Halo Engagement Ring Vintage Style 0.40 tcw. 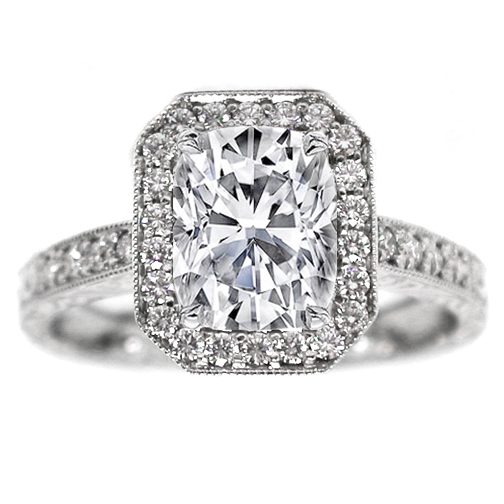 Cushion Cut Diamond Engagement Ring . 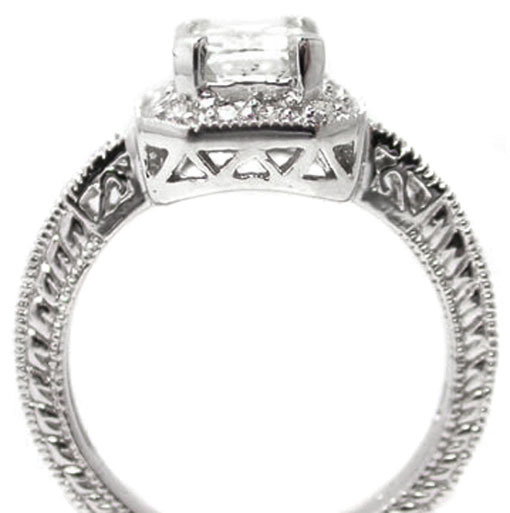 The setting features 24 round diamonds Pave set on the head around the center diamond forming a halo and on the band's shoulders. 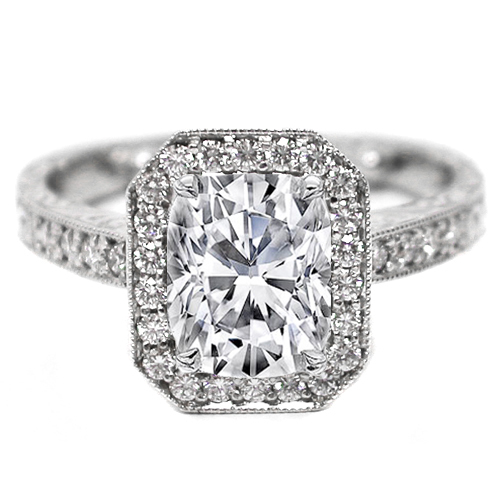 The diamonds are white and clean with total carat weight of approximately 0.40 Carat. Filigree gallery and engraved design on the sides of the band. Also available in platinum, yellow and rose gold.